AKIPRESS.COM - Minister of Foreign Affairs D.Tsogtbaatar is attending the 18th Winter Meeting of the OSCE Parliamentary Assembly (OSCE PA), which is taking place in Vienna, Austria on February 21-22. About 300 government representatives of 57 countries are participating in the meeting to discuss matters related to regional political and security affairs, economics, environment and human rights. They will also be holding a special discussion on ways to fight crimes, such as corruption, money laundering and the financing of terrorism and using the OSCE’s duty and role in solving conflicts in the region. 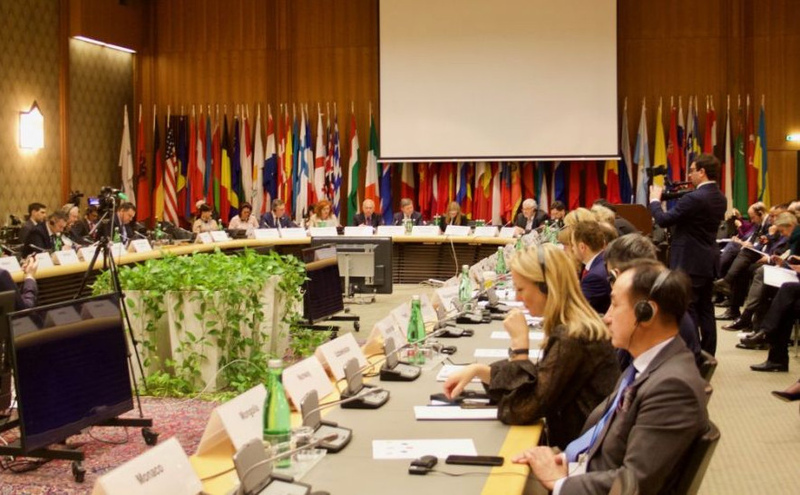 The assembly’s winter meeting features that parliamentarians look for solutions jointly with the government representatives of the OSCE member countries. During the meeting, Foreign Minister D.Tsogtbaatar held meetings with member of the Italian parliament Paolo Grimoldi as well as special envoy of the Ministry of Foreign Affairs of Sweden Kent Härstedt, and discussed bilateral relations and partnership. He expressed his wish to further develop the relation with the parliament members in the assembly, and invited the Italian parliament members to visit Mongolia.